The EPA Ranks Poor Indoor Air Quality Among The Top Five Environmental Risks To Public Health And Estimates That Indoor Air Is Two To Five Times More Polluted Than The Outdoors1. The existing U.S. laws and regulations do not fully regulate the chemicals and contaminants in your paints. The only federal regulation in the paint industry is for outdoor VOC emissions, not indoor air quality nor toxicity level. The paint industry has been known to be one of the most polluting and in 1984, the Environmental Protection Agency (EPA) created a testing methodology, Test Method 24, to address the industry’s impact on outdoor air or smog due to the growing awareness and concern of global warming. The EPA Test Method 24 has its limitations and still allows for some VOC content. 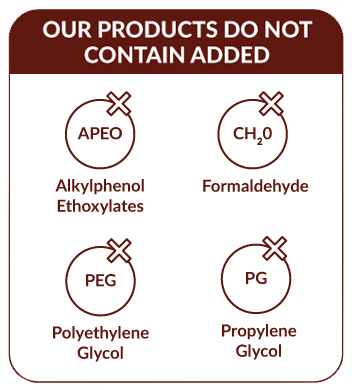 Even if a product is labeled Zero VOC, it does not necessarily mean there are no VOCs in it. The EPA has established a general definition of a VOC that is very broad. In effect, it states that “any volatile compound of carbon” is classified as a VOC for regulatory purposes, unless it appears on a list of compounds that have been specifically exempted. Many other toxic chemicals like formaldehyde, acetone, and ammonia are not being regulated and can be included in paint formulation. Essentially the EPA Test Method 24 only captures outdoor VOC emissions and does not measure anything with TVOC, low weight molecular compounds or indoor air quality, as well as, it doesn’t classify if a paint is organic, toxin-free, or harmless to you and the environment. ROMABIO mineral paint would only contribute a negligible amount of TVOC of 2 µg/m3 if used in your home or office. What affects IAQ are the lower molecular weight compounds added to the products like acrylic resin and binders, measured by TVOC. The U.S. Green Building Council™ (USGBC) LEED® green building program created a new standard for green buildings of <500 µg/m3 TVOC after they realized their previous standard of <200 µg/m3 TVOC might be unattainable2. Other paint manufacturers are not revealing their TVOC amounts. To make acrylic paint products Zero VOC (or regulated VOCs), they may have to add compounds that make your indoor air quality worse. ROMABIO’s products are the cleanest and healthiest and we have passed the strictest 3rd party testing standards in the U.S. and internationally to prove it.